Skoop B-Strong Packaging. A Copywriting Collab. Posted February 25, 2014 / Skoop B-Strong Packaging. A Copywriting Collab. 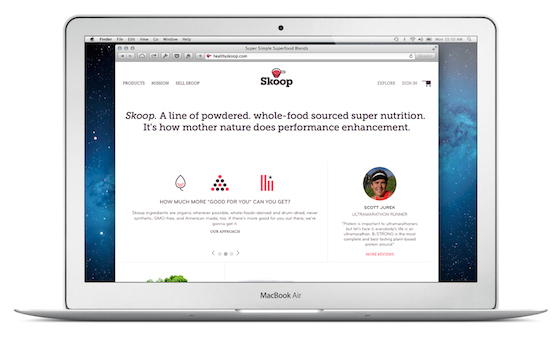 My friend, Alex, helped create and launch this great product called, Skoop. 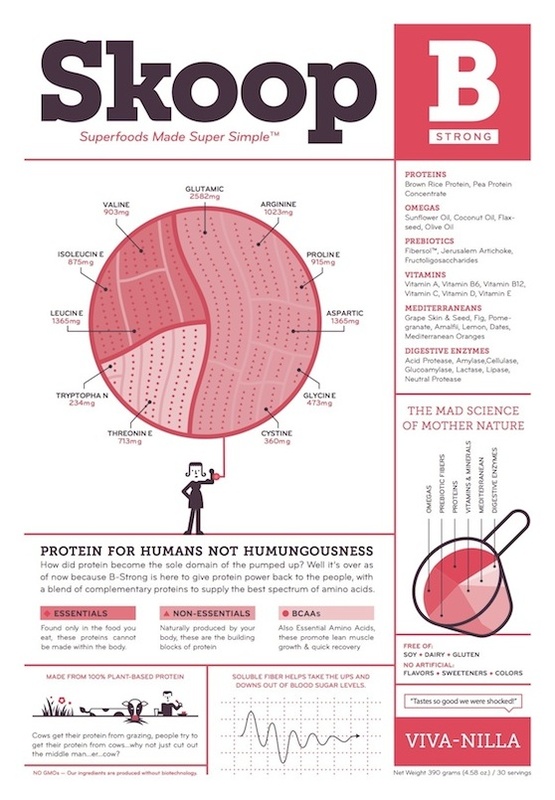 Skoop is a surprisingly tasty superfood powder. 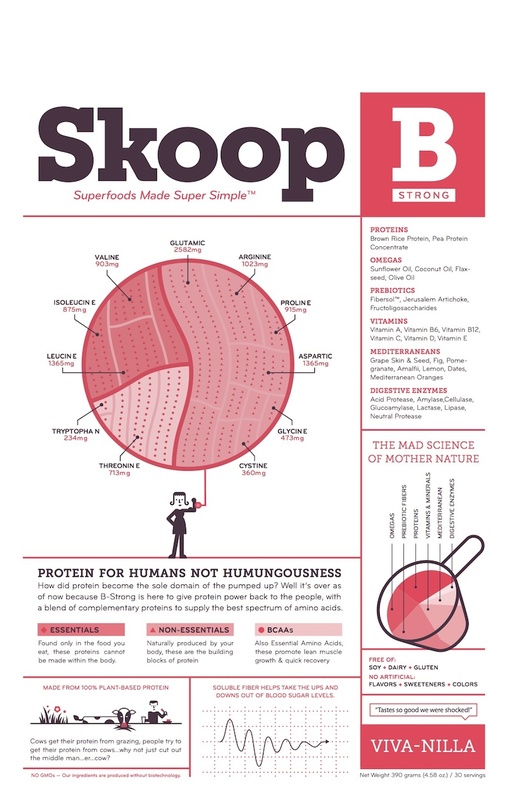 Our family has been enjoying the first Skoop formula, “A Game” for several months, so when he was designing the packaging for “B Strong,” Skoop’s new plant protein powder, he was kind enough to ask me for some copy ideas. Truth be told, the stuff he’d already written was killer, but some of my suggestions made the final cut, and it was super fun working together. Hoping it will lead to more team-ups in the future. And of course, be sure to check out healthyskoop.com and give it a try.